We've got a secret, and we can't keep it! 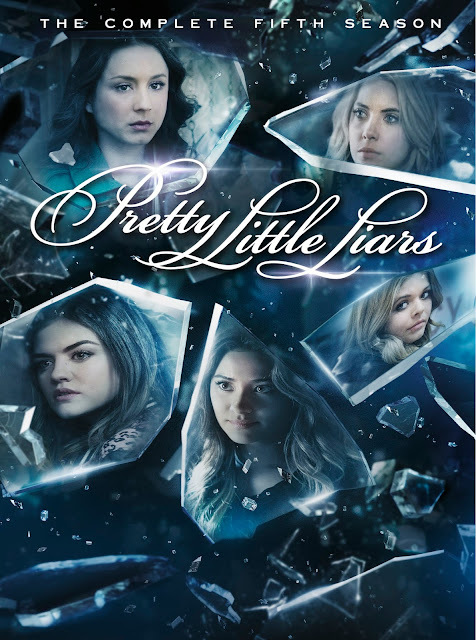 Just in time for the sixth season premiere on ABC Family, Warner Bros. Home Entertainment Group released Pretty Little Liars: The Complete Fifth Season on DVD June 2, 2015. Pretty Little Liars stars Troian Bellisario (Lauren, JAG), Ashley Benson (Spring Breakers), Tyler Blackburn (Ravenswood), Lucy Hale (Scream 4, Privileged), Ian Harding (NCIS: Los Angeles), Laura Leighton (Melrose Place), Shay Mitchell (Aaron Stone), Janel Parrish (Celeste and Jesse Forever, Bratz) and Sasha Pieterse (Heroes, X-Men: First Class). The five-disc set contains all 25 episodes from the fifth season, plus new behind-the-scenes featurettes, deleted scenes, and a fan appreciation episode titled “We Love You to DeAth.” Pretty Little Liars: The Complete Fifth Season is priced to own at $59.98 SRP and has an order due date of April 28, 2015. Based on the series of books by Sara Shepard, Pretty Little Liars is from Alloy Entertainment, Gaslight Productions and Russian Hill Productions in association with Warner Horizon Television. The executive producers are I. Marlene King (Just My Luck, If These Walls Could Talk, Now and Then), Oliver Goldstick (Ugly Betty, Lipstick Jungle), Leslie Morgenstein (The Vampire Diaries, The Originals, Gossip Girl) and Joseph Dougherty (thirtysomething, Saving Grace). ⃰Source: Nielsen Galaxy Explorer, Live+Same Day Total US ratings, 6/10-8/26/14. ABC Family ranker includes new episodes of original series only. Pretty Little Liars is one of the few shows I LOVE to watch and keep up with! I am so excited to watch the 5th season for many years to come! !